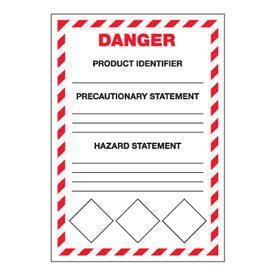 Labels stand up to grime and chemicals and let users easily identify containers with hazardous substances. Adhesive-backed vinyl labels are durable and will stick to flat or curved surfaces. Attach mini pictogram labels on blank spaces to make your label GHS complaint (sold separately). 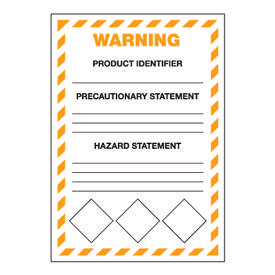 Packaging: Pack of 5 labels.